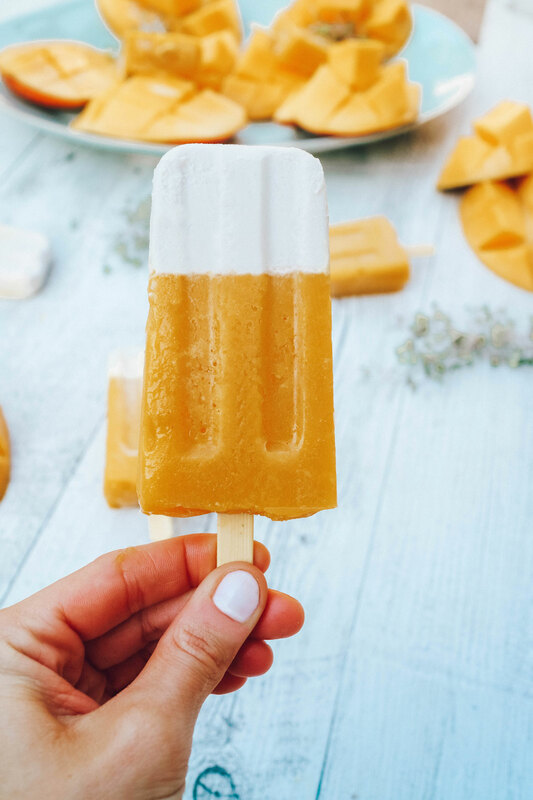 Deliciously Easy Mango Coconut Ice Blocks! 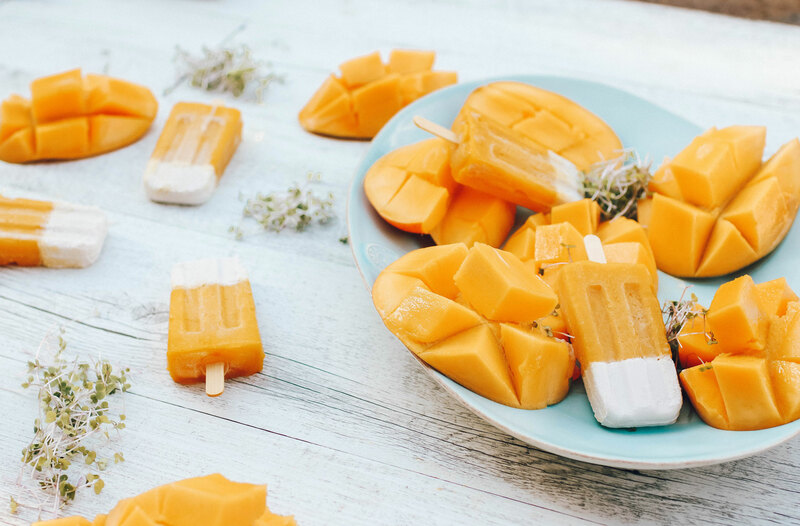 These superfood, sweet & creamy, and most importantly, healthy mango coconut ice blocks have got to be one of my favourite ways to cool down during Summer. 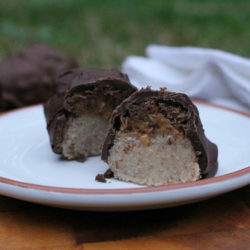 They are a great alternative to those sugar loaded, dairy filled ice creams (think mango Weis bars!) and have some seriously nutrient dense ingredients! 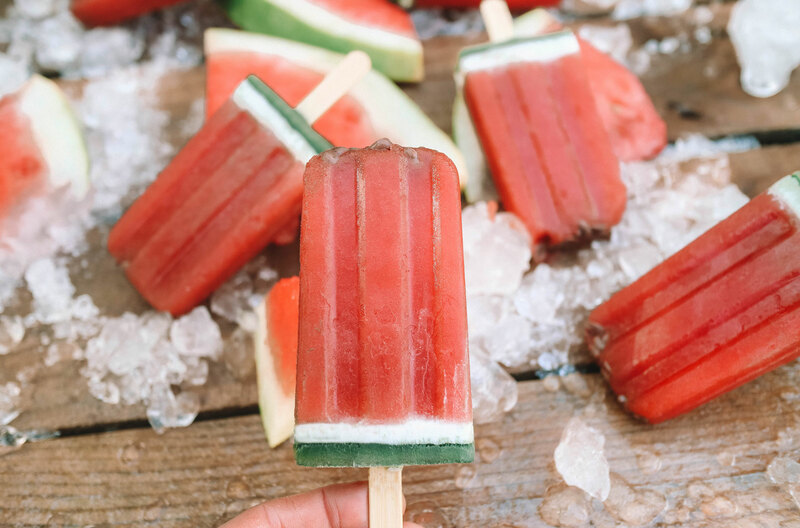 Seeing as my superfood Watermelon Ice Blocks had such a great response, I have played around with another kid friendly ice block recipe! If you have been part of the Krumbled Family for a while, you would well and truly know just how much I love turmeric. 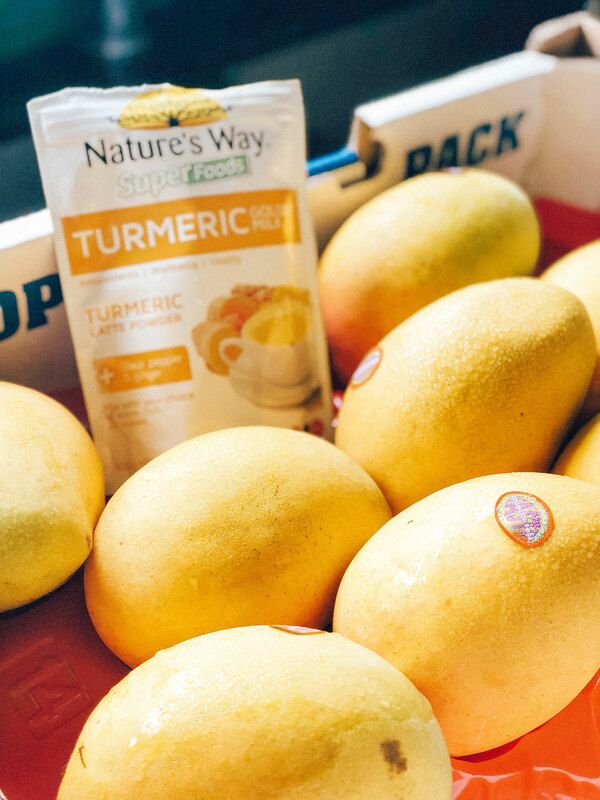 Turmeric comes from a plant called the curcuma longa plant, found primarily in South East Asia and India. Through a process of drying the root, the plan is ground down into a divine rich yellow powder, that we all know and love called Turmeric. 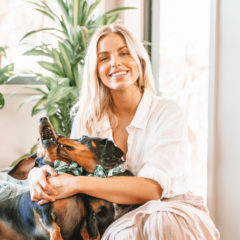 Some of the incredible health benefits that studies have shown for this potent superfood are, permitted that you use the right dose and seek advice from a health care professional. One of my personal favourites is from Natures Way. Quite possibly one of my favourite Summer snacks – the messier you get, the better it is! Mangoes in my opinion are a super fruit. They help to alkalize your body, they aid in digestion, they are packed full of vitamin a, vitamin c and have so many carotenoids that help boost your immune system. They are also absolutely delicious, fresh or frozen!! 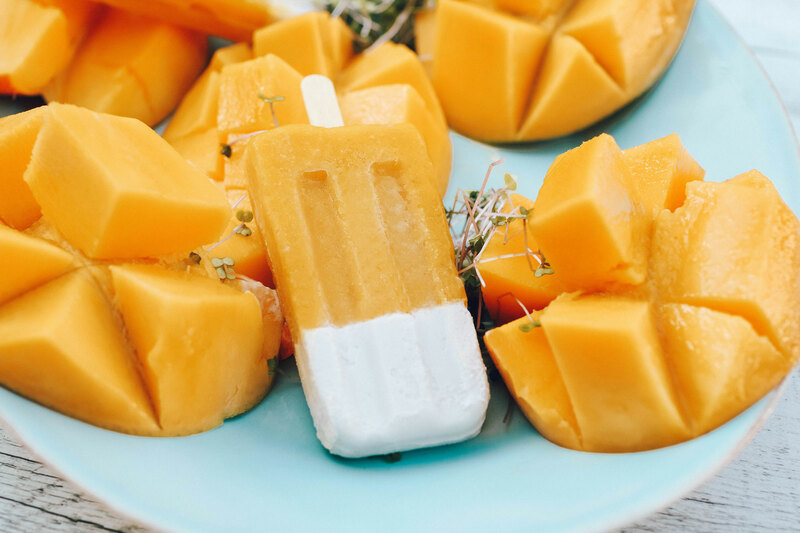 These healthy mango coconut ice blocks are super easy, with 2 simple steps that make up the coconut tip and the mango bottom. The sweetness of the mango cuts through the creaminess of the coconut so I am sure you will all be going back for seconds! 5 organic mangos – Calypso are my favourite!! Peeled and deseeded. Not sure how much easier it could get! In a blender – combine the coconut tip first, blend until combined. Then pour into ice block molds. 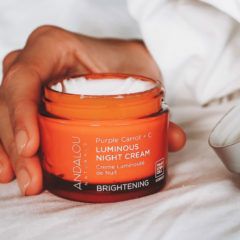 Set overnight / at least 4 hours. Once set, blend the remaining ingredients, adding the coconut water slowly until your desired consistency is met. 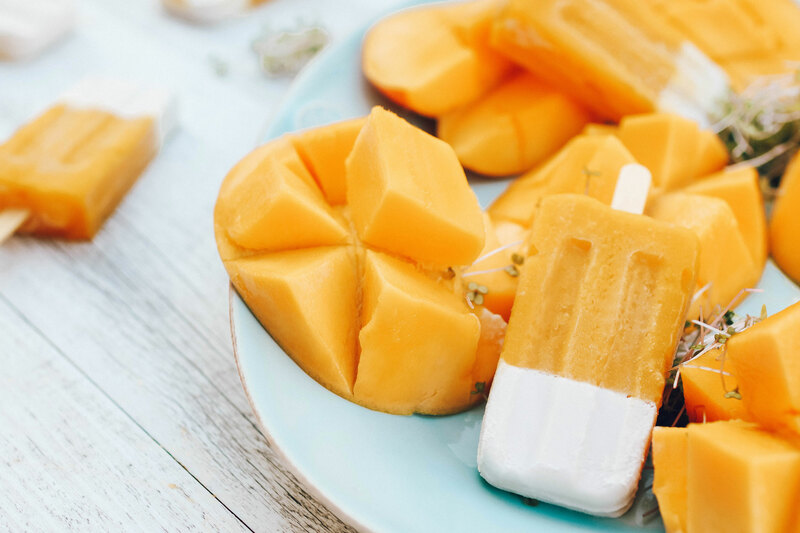 If you like this Healthy Mango Coconut Ice Blocks recipe have a look at my other healthy treats here. Yummmmm!!! I made this into actual icecream last night! It was so good! The kiddies had them in waffle cones – hubby and I had it with dark choc sprinkled on top. DELISH!! Where did you get the ice block moulds from? My son and I met you at the Superfood truck a while ago!! He loved those smoothies so much that now I give him a green smoothie every morning and he loves it! It was so nice to meet you and you were so good with Eli. We love your recipes so much!! 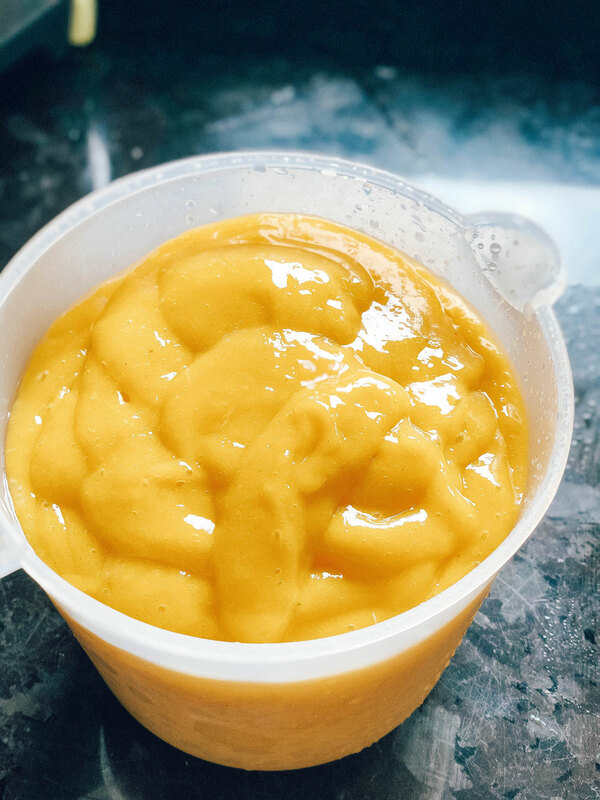 we grabbed a box of mangos on the side of the road yesterday with the request from Eli to make the yummy ice blocks that you had on your instagram!! You have one 8 year old fan! Thank you 100 times over for showing him that his allergies aren’t a bad thing but a good thing!! Wow what a divine message from you! 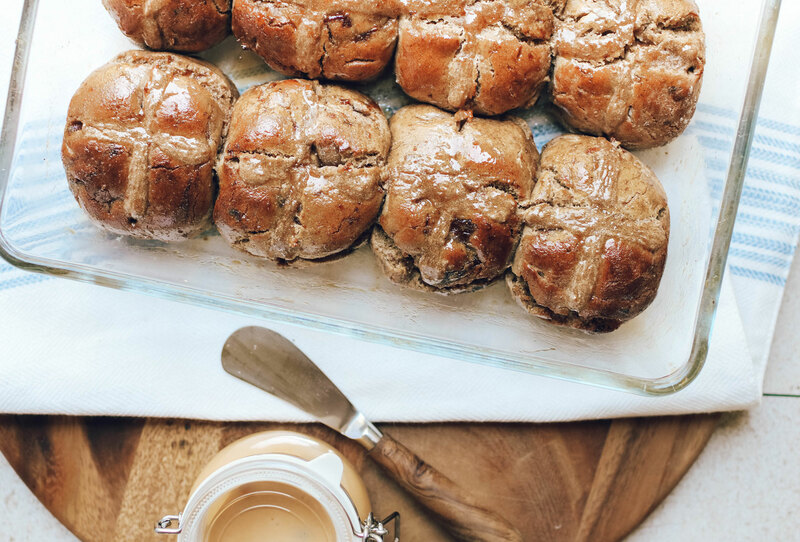 This year I am aiming to get back into doing more wonderful recipes so you can all enjoy!